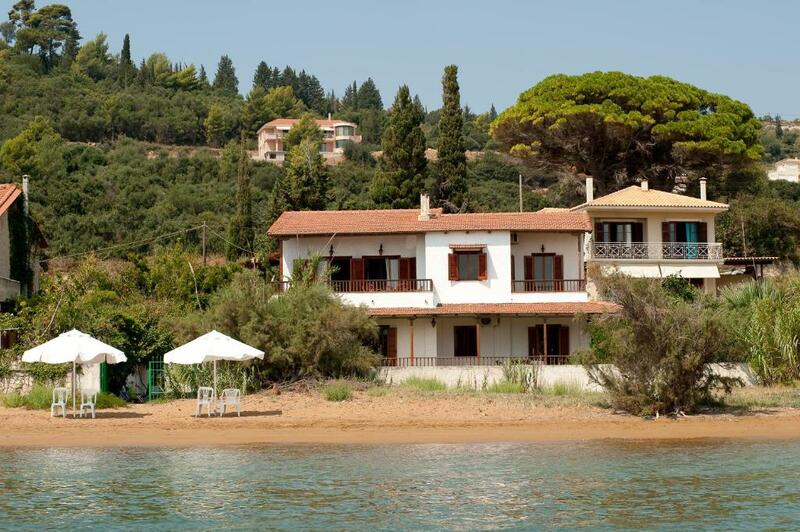 Lock in a great price for Alekos Beach Houses-Alekos Beach Complex – rated 9.4 by recent guests! Located in Lixouri, near Lepeda Beach, Alekos Beach Houses-Alekos Beach Complex has barbecue facilities. Free WiFi is featured. Some units have a terrace and/or a balcony with sea or garden views. If you would like to discover the area, snorkeling and fishing are possible nearby and the apartment can arrange a car rental service. Monastery of Kipoureon is 9 miles from Alekos Beach Houses-Alekos Beach Co. The nearest airport is Kefalonia Airport, 28 miles from the property. When would you like to stay at Alekos Beach Houses-Alekos Beach Complex? This apartment has a toaster, barbecue and electric kettle. This apartment features a CD player, sofa and seating area. This apartment has a private entrance, fireplace and barbecue. In two quite beach destinations we have unique houses just for you, your families and your friends . Out of a big variety of fully equipped houses you can choose beach houses, right on the beach, villas with swimming pools, unique architecture houses, even villas with tree houses for your kids. You can find houses with capacity starting from 2 up to 10 people. Welcome in Kefalonia and especially in the remarkable peninsula of Paliki. Lixouri is our capital and our only town with a population of 3.752 permanent citizens and 7.836 in the peninsula totally. Our coast line is very famous about its variety of beaches and their crystal waters. In our area you will find, at least, 20 organized beaches and 20 more not organized in a no longer distance of 30 minutes between the farthest ones. The spots of the houses that we have for you are at the two beach areas of Lepeda- Logos and Megas Lakos-Xi- Kounopetra. House Rules Alekos Beach Houses-Alekos Beach Complex takes special requests – add in the next step! Please inform Alekos Beach Houses-Alekos Beach Complex of your expected arrival time in advance. You can use the Special Requests box when booking, or contact the property directly using the contact details in your confirmation. Location was very good. Views were very good . Generally quiet .We had every thing we needed. Welcome was excellent. Everything in the apartment worked . we had no need to use air con or heating as temperature was 22 deg C. Costas communicated well in English and gave us as much time as we wanted. We were the last booking of the season so it was very quiet. Nothing really. Loved it there. The apartment (upper floor of two) was well set out. The superb uninterrupted views from the huge balcony, 100M max from the sea, and across to the mountains and islands beyond, were excellent and really made it for us. Some of the internal fittings were a little dated (refitted bathrooms tho), but we did not mind. The setting is great- quiet but close enough to town- just a fifteen minute coastal walk and 5 euro cab back if too relaxed to walk. Kostas, the owner, is a nice guy. Attentive but not in your face. He had plenty of good advice to offer but wasn't pushy. We loved our time here and we would heartily recommend the Beach House Alekos to anyone wanting a relaxing time, in a gob-smacking setting, with good facilities nearby. Tip. Bring a small quantity of condiments if you intend to cook. Salt, pepper, sugar, etc, as although Kostas has a herb garden, from which you may take as you need, he has a policy of not leaving in the apartment anything left by previous holidaymakers since, as he reasonably puts it, he cannot guarantee their age, quality, etc.